Russian Federation ambient fantasist Vladimir Karpov aka X.Y.R. (aka Xram Yedinennogo Razmuwlenuja) usually frames his decaying Soviet analog synthesizer pieces within “illusory worlds” – lost cities of gold (El Dorado), polar oblivion (Arktika), deserted equatorial islands (Robinson Crusoe: Lost Soundtrack) – but his latest collection less conjures a place than a time. 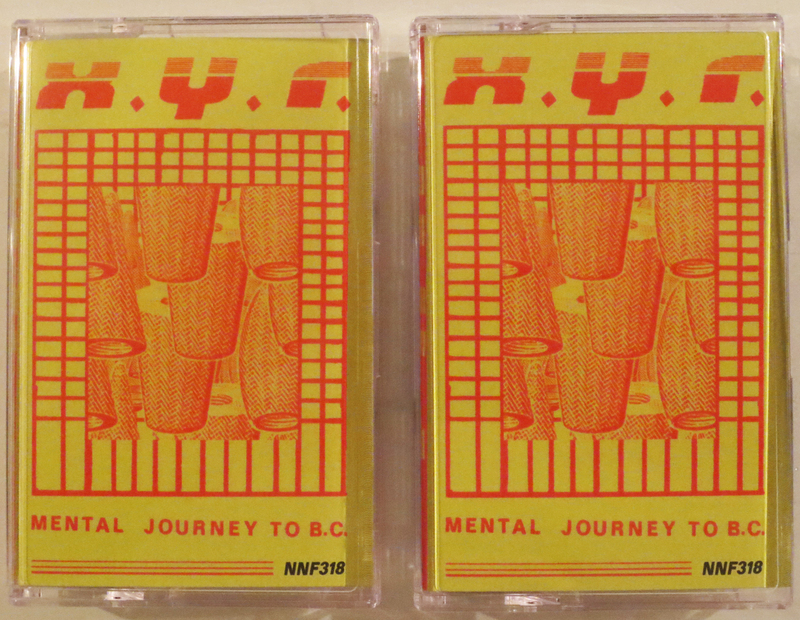 The mood of Mental Journey To B.C. is pre-human: obscure landscapes hissing in the heat, shimmering in the dark, uninhabited, unreal. Humid loops of Formanta Mini and smoke-ring keys float over hushed jungle metronomes and moonlit field recordings. 10 shades of prehistoric haze, slipstreamed with temple chanting, distant insects, heavy echo, silhouettes of the subconscious. New Age as Ancient Age; the Portal as Process. X.Y.R.’s escape artistry continues to expand. Tinted red cassettes with red imprinting in J-cards designed by Dieter Durinck. Mastered by Alex Nagel in Philadelphia, PA.